Microsoft has started the month of October on a rocky note, to say the least. First, it was the file deletion bug in the Windows 10 October 2018 update (version 1809) that forced Microsoft to pause the rollout until it could fix the issue after users started complaining of data loss. The Redmond giant received a lot of flak for not being able to fix the bug that was already spotted in its preview stages. According to some users who did get the Windows 10 October 2018 Update have now found another bug that does not allow the system to display the ZIP files overwrite confirmation popup when copying files. One 1809 user reported on Reddit, that the version of Windows 10 is missing the “Do you want to replace these files” dialog box while copying from a ZIP archive to another folder containing another file with the same file name. Although the file is not replaced, it instead modifies the date of the destination folder file. This bug just affects the built-in ZIP tool in Windows File Explorer, it has no impact on third-party programs. Another Reddit user added that the bug also has Windows File Explorer show file transfer progress when copying from ZIP to show as if files are being copied. A thread dedicated to the issue has been created on the Feedback Hub, where Microsoft employees normally respond to complaints and other bugs. While the ZIP bug is in no way as severe as the file deletion bug, it can cause users to inadvertently remove or delete files. It also misinforms users into believing there was no file in the destination folder that was identical to the files in the ZIP archive. Apparently, a Windows Insider Preview tester had spotted the presence of ZIP file bug three months ago and reported it to the Feedback Hub. 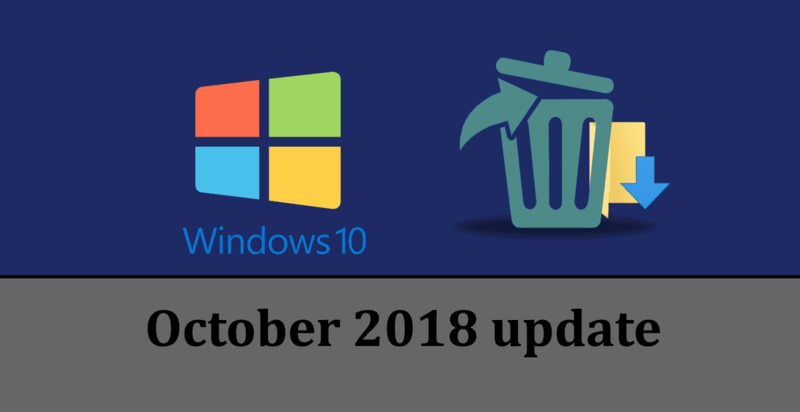 However, this report failed to attract more than a few upvotes and was overlooked by Microsoft when collecting the Windows 10 October 2018 (version 1809) Update. BleepingComputer points out this bug was fixed in the Windows 10 Insider Preview Build 18234 (19H1) that was released on September 6, a month before the public rollout of the October 2018 Update, confirms an engineer for Microsoft’s Windows Insider Program. This means that the next patch for Windows 10 October 2018 Update will probably have a fix for the new bug. However, there is no word yet from Microsoft on when the update will be publicly rolled out. Following Microsoft’s 1809 data-loss bug, the company has updated its Feedback Hub that will allow bug reporters to add a severity rating to grab the attention of Microsoft’s Windows engineers over severe issues. “We believe this will allow us to better monitor the most impactful issues even when feedback volume is low,” Brandon LeBlanc, Senior Program Manager on the Windows Insider Program Team said in a blog post.